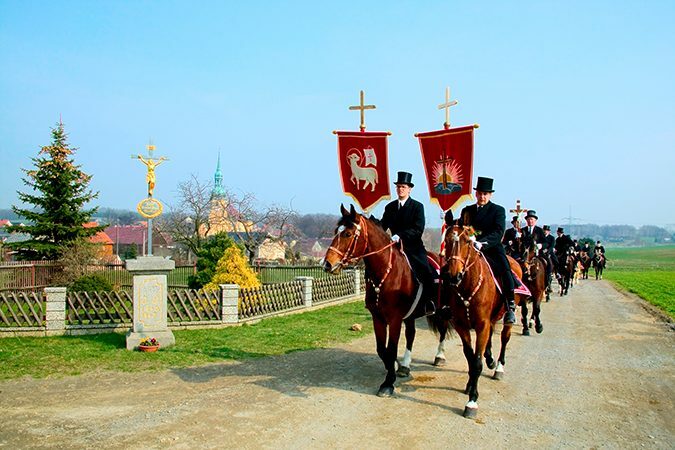 On Easter morning, various processions made up by up to 200 male Sorbian Easter riders can be seen In the area between Bautzen, Kamenz and Hoyerswerda, where they spread the good news that Jesus Christ has risen from the dead. 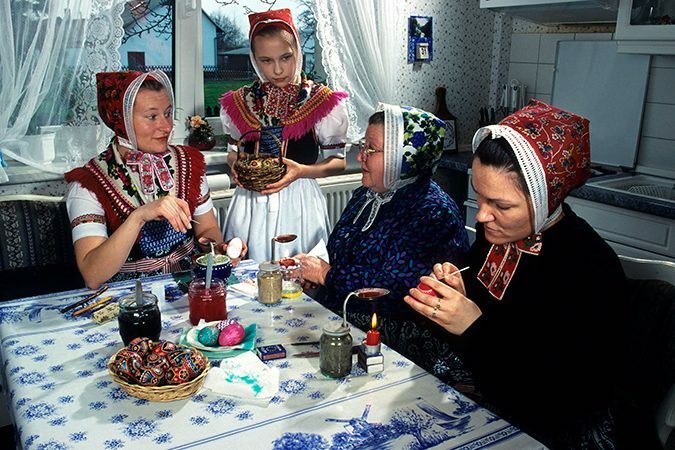 At this time, the Sorbian women, who wear elaborate traditional costumes on many occasions, have already spent the Lenten season decorating Easter eggs with intricate patterns. Another highlight on Easter Sunday is an event in Bautzen, the “capital” of the Sorbs. 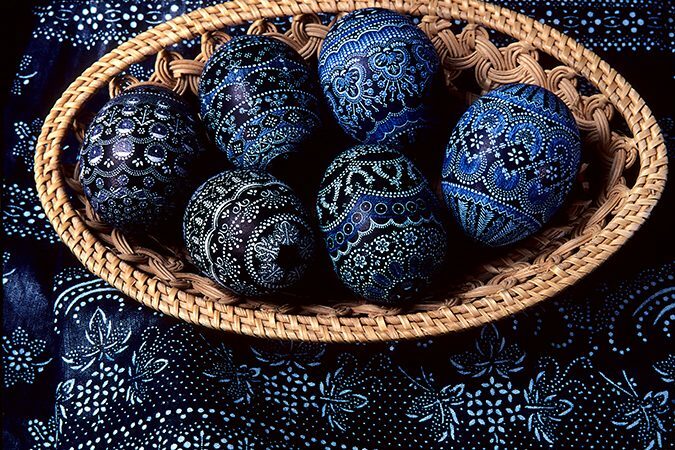 The “Rolling of the Easter Eggs” has been a tradition since 1550. Originally the children from wealthy families rolled eggs and other goodies down the hill as a gift for poor children. Today, it is an event for the whole family and a major tourist attraction. It is ironic that the Sorbian Museum is today located in a building formerly used by the feared Gestapo secret police of the Nazi regime which tried to erase the Sorbian culture. But the building, which is part of Bautzen’s Ortenburg Castle, had already been erected in 1782 as a warehouse for salt storage. 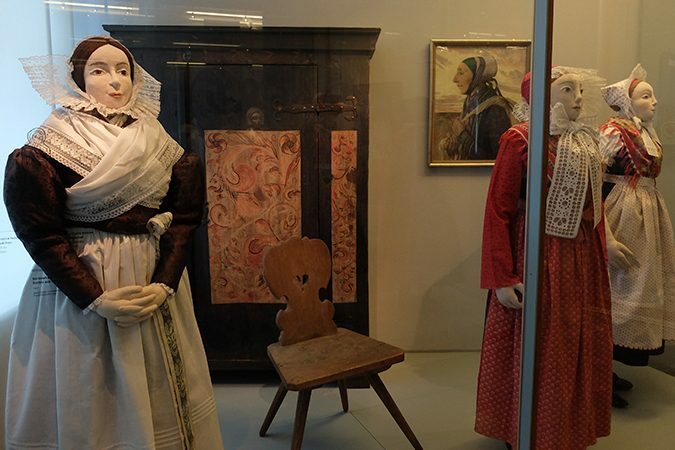 The exhibition gives insights into all aspects of Sorbian life, such as the language, the traditions, and arts and crafts. Most traditional Sorbian dishes are simple and healthy, like boiled potatoes with linseed oil and curd. 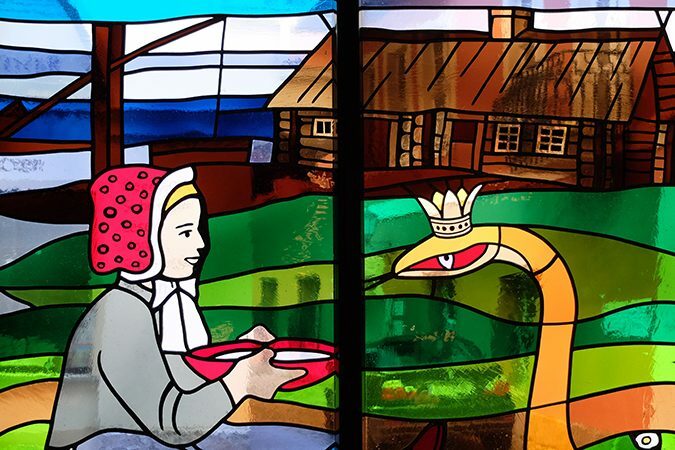 Most popular with tourists is the Sorbian Wedding Meal, a three-course affair consisting of soup, meat dish and dessert. Sorbian food can be sampled in restaurants throughout the Sorbian region. The best known place is the “Wjelbik” (= Little Vault) in Bautzen where Sorbian song and dance performances can also be organized. The Sorbs used to live in an advanced variety of log cabins called the “Schrotholzhaus”. Tree trunks were hewn into four-sided logs which were then piled up to form a seamless surface. German settlers later combined this way of construction with their expertise on half-timbered houses to create the “Umgebindehaus”, typical for region south of Bautzen. “Schrotholz” houses were replaced by brick houses in the 19th century and many of the surviving examples disappeared through open pit mining. The Erlichthof in the village of Rietschen consists of relocated “Schrotholz” houses and offers displays of crafts, events and accommodation. The only surviving church of this type is in Sprey. In Krauschwitz, a new sauna village was constructed in this traditional style.